I've been talking about the American Canoe Association (ACA) a fair bit on the blog recently, and partly that's because I've started a new role within the organization. I'm the Clubs Director for the ACA's new California state Executive Council, part of a program with councils for every state. It's a volunteer position, as are all positions on the council, and we're all in the process of defining what it really means. Here's what we've come up with so far. The Executive Councils are a way for the ACA to have a local focal point in each state. We're here to help spread the word - actually, lots of words - as well as listen to the what the community has to say. We want to let the world know what the ACA is and what it does, but also we want to help paddlers connect with one another. To accomplish this, we've set up a Facebook page that we will use to communicate. What will we communicate? First, information about the ACA and it's many great programs, like instructor certification, Paddle America Clubs, insurance offerings, public safety education, and paddler advocacy. The ACA has been around for one hundred and thirty-five years, always a non-profit devoted to paddle sports. It's main goal has been one of safety, with the motto of education not regulation. It offers a lot of great resources and we hope to highlight them through the Facebook page, especially the things most pertinent to our great state. We also want to help paddlers connect with each other. We want to let the paddlers know about cool things like the Cal100, or how SUP paddlers are welcomed at the Santa Cruz Paddlefest. 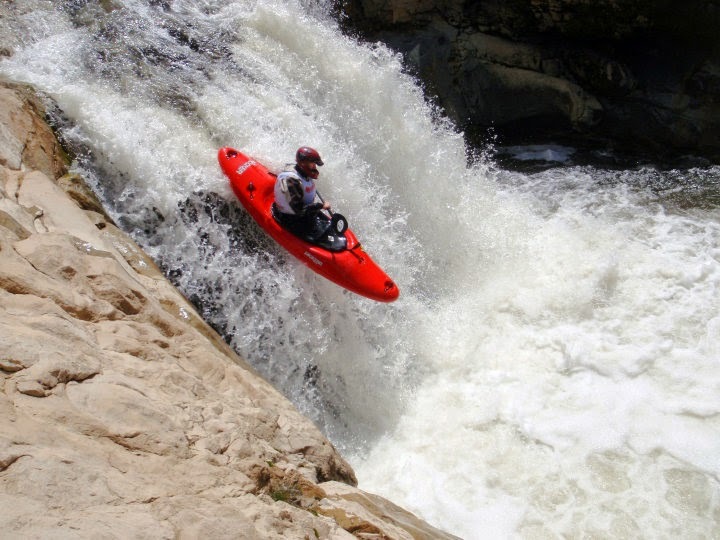 And maybe some sea kayakers would be interested in learning about river slalom races, like the Moke Races, or rafters wanting to get involved with adaptive kayaking programs like Team River Runner in San Diego. We want to help new paddlers find out about their local clubs, like the Los Angeles Kayak Club, so they'll find more people to paddle with. This is a large state, and while paddlers make great communities, it's often hard to connect with those communities if you don't know they exist, and it's hard for the communities to connect to each other when they're far apart. In that vein, we want to hear from the paddlers out there. What would you like the ACA to do for you? How can we contribute to the kayaking/rafting/SUPing/rescue world? What does California paddling need? One of the goals of the state council initiative is to have a local face on the ACA so conversations are a little more immediate and personal. Once again, it's all about communication. As the Clubs Director for the council, my goal is to help the clubs that already exist in a variety of ways. I want to make sure they know about the insurance options that the ACA provides, which can be invaluable for putting on events where a certificate of insurance is needed. I want to make sure they're aware of the CFS grants which offer money to organizations doing public service, like cleaning up a beach or river bank. But mostly I want to help clubs reach out to new paddlers, to help them find each other and get more people into our great big paddling community. The ACA has a lot of history and a long reach already established, and we're happy to use it to help out the many little (and not so little) clubs out there. Let's make this an even bigger party. So if you're a paddler in California, we want to have something for you. If you're not seeing it, let us know what you want and we will try to get it. If you're not from Cali, you're welcome to stop by too - we know that you all plan to come visit at some point since we have some of the best paddling in the world no matter what type of paddling you're talking about. So go like our Facebook page and say hi when you're there - I'm one of the administrators. Happy paddling! This is a very personal post for me. It's not a reaction to anything in particular, but something that's been on my mind for the past few years and I'm writing this not to prescribe or advise, but to help me crystallize my own thoughts and feelings. I've stepped back my paddling, both in quantity and difficulty, and I'm no longer an extreme kayaker by any measure. It's been a conscious choice, but with a number of unconscious elements involved. I don't think I ever really paddled on the edge. Sure, I run class V, but not the gnar. I've done some serious sea kayak trips and played in some rough conditions, including solo adventures, but I've never felt like it was at great risk. Adrenaline was never my goal, and I'm a pretty conservative person, more of a control freak than a free spirit. But there has always been danger involved in what I do and I am well aware that risk is a part of challenging paddling. I've had my share of injuries, and while I haven't lost any close friends to the sport, I do know people who've been seriously injured or killed while kayaking. I accepted those risks and had a few close calls over the years (like this), but I never considered my life so precious that it needed to be held back, safe in a protected box, for fear of scratching it. I used my body like my gear - hard and with purpose, treating it with respect but knowing I pushed it to its limits and failure was a possibility. My life was my own and I made the payments on it. I didn't answer to anyone else and I would be the one to deal with its loss. But I'm married now. I have a partner who shares my life with me, on and off the water. When we paddle together I feel more concern for her safety, even when there's no significant risk, than I ever cared for my own. When she's not around and I paddle harder stuff, I still think about her more than myself. I no longer worry about what an injury would do to me, but how it would affect her. I feel no urge to risk my life because I can't bear to think about the impact its loss would have on her. My life is not just my own, and I treat it like it borrowed gear, something that I am free to use but I need to bring it back whole and sound at the end of the day. I have read many accounts of those who've died pursuing their passion. Lots of talk about how they died doing what they love, that it was their nature, and their loved ones understood that risk was a part of their life. 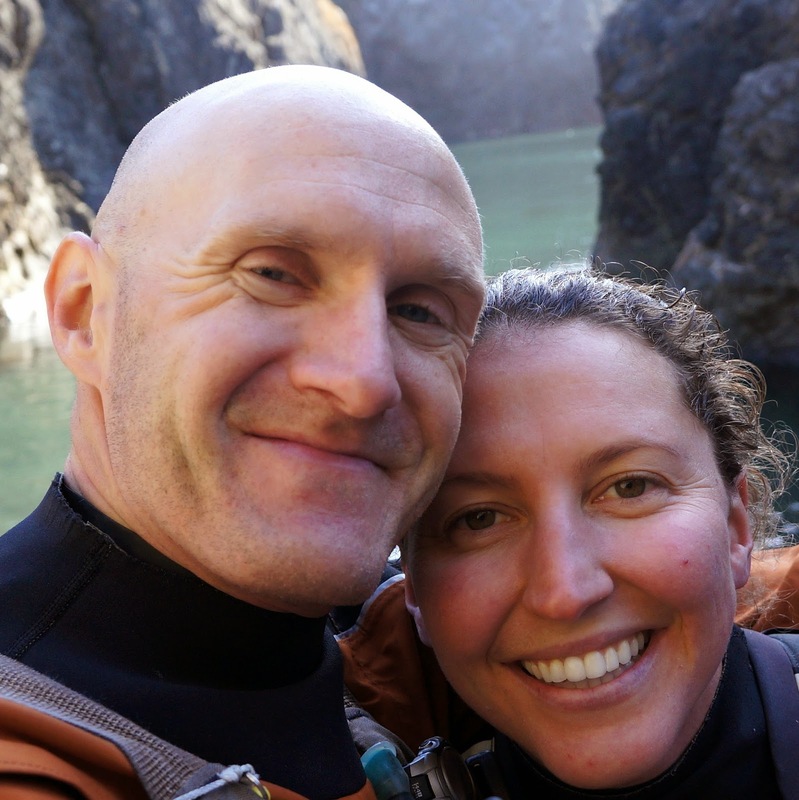 How loving someone who does extreme sports means accepting the potential consequences. That a person shouldn't change who they are for the sake of those around them and those who live life on the edge experience it in a way that can't be appreciated from a safe vantage point. Lots of crap like that. You see, I don't agree. I'm not criticizing those who make that choice. If you want to pursue adventures that have a serious risk of death, that's a choice you are free to make. I won't say it's wrong for you or a mistake. I'll gladly support my friends who run harder drops and venture further into the void, all the while knowing I'll miss them terribly if something goes wrong. But I won't hold their choice up as superior, I won't acknowledge that it's a necessity and I won't credit them for a life worth more than my own. It's a choice, we all make them, and sometimes what's right for us is not right for others, and sometimes we make a choice we think is right when it probably isn't. I strive to make my choices deliberately and with care, knowing what they might mean for me and weighing what they mean for those around me. I've chosen to step back. I don't need to justify that to anyone else, and justification is not what I seek. I seek understanding. When I look at a hard drop, or consider a new run to push myself, I no longer feel the excitement of the challenge. My life isn't focused on testing myself in sport and proving to myself that I can master what it takes. And that's what drew me to kayaking, whitewater in particular - the difficulty. I've always wanted to test myself and succeed, to conquer what originally limited me. The risk was a necessary side effect, but never a goal. It's not something I'll miss. These days I have plenty of challenges in other aspects of my life. Writing is hard, in a way that you can't know if you don't do it seriously, with more obstacles and rejection than I ever thought I could face. The joy I find in improving my craft matches anything I've ever felt in a boat. Being married, planning a family, contributing to my local community, and building a life centered around others all are new and revelatory challenges, eclipsing the importance of becoming a better kayaker. Other people kayak for different reasons; they push themselves because they feel an inner need and take away something different than I do. Their motivation is not the same as mine and their choices need to reflect their own rewards. Some of them will play it safe and still face tragedy, some will choose poorly and never face the consequences. Life can be arbitrary and harsh or random and lucky. All we can do - all we should do - is make the choices that are right in the moment and learn and grow from them without regret. When I was a full time kayak instructor many of my students would tell me I was living the dream: getting paid to do what I was passionate about, working in beautiful settings among people having fun. I took the compliment but never agreed. I was living a life, with good moments and bad, fun times and hard work, and I enjoyed it immensely. But it wasn't a dream. It was a choice I made, a life just like anyone else's. Nowadays I live the life of many: I go to work in an office, I try to play a little on the weekend, I worry about car payments and retirement funds. This feels like a dream - a grand a glorious dream where my happiness exceeds what I thought was possible. And I don't want to wake up. That's why I stepped back. Not out of fear, not out of a sense of responsibility or any pressure to become an adult. I simply don't want to do anything that might cut short the beautiful life I now have, or somehow hurt the one person who makes this all possible for me. I'm still being just as selfish as always, but I manage to see it from a wider perspective. I'm glad there are people out there living on the edge. I like to know that others can experience the same joy I do, whether they find it on a waterfall's lip, a high mountaintop, or watching a little league game. I am no less passionate about kayaking, but my passion derives from a different source. It comes from seeing others develop and grow as paddlers, helping them overcome their fear or limitations. It comes from sharing the quiet and solitude of the wilderness with people I care deeply about. It comes from having nothing left to prove. I like the view from my seat, safely buckled into the minivan of life. But don't be surprised if I still manage to get some dirt on the paint, or get a flat in the middle of nowhere. And I look forward to running into you all wherever our paths may cross, whatever vehicle you're in. So go paddle, take a risk, and know that all of life is an adventure that should be experienced to the fullest. Since my last post on paddler assessments, I’ve had a couple discussions with folks about the instructor certification side of things. There was some misunderstanding of exactly what instructor certification is and what it is NOT. And this was coming from some folks who are ACA certified instructors, so if they aren’t entirely clear on what it means to be certified, then it’s likely that a lot of other people out there have some misperceptions as well. I think it’s very important that people understand that ACA certification (and I think the same is true about other certifying agencies, though I can’t speak from experience there) is not about teaching a set curriculum. It’s not about teaching specific things in specific ways; it’s not about making everyone do everything the same. What is it about? Certification is about setting a standard of teaching ability and knowledge related to the subject. It’s about making sure instructors know some fundamental principles of teaching: using different teaching styles to engage different learning styles, teaching in a progression that builds and develops skills, knowing the theory behind the practice. It’s also about safety: knowing how to manage a group on the water, knowing multiple rescue techniques, knowing how to recognize hazards and avoid them in the first place. It is about technique, but not necessarily about uniformity. There are some skills that everyone needs to have in their specific environment: a forward stroke to propel the boat, how to edge a kayak on moving water, how to perform a deep water rescue on flat water. But there are different ways to accomplish these things, and as long as you adhere to certain principles of safety and good body mechanics, variety is fine. Not everyone has to have the same forward stroke, but everyone should be using their torso for power and should not be bending their wrists; you can perform a T rescue with the empty boat upright or upside down, but you have to have a solid grip if you don’t want to lose the boat or flip over in the rescue. As an Instructor Trainer, I admit that I am part of the problem. When I certify instructors, I use a set curriculum – I use mine. That’s not because I think the way I do things is best, or that everyone else should copy me, but because you need to have something to work off of. I can’t teach the concept of progression without using a progression, but I don’t have time to go through multiple progressions. I can’t demonstrate teaching everything in every different way – it just isn't practical, and it would be confusing if I did. I try to encourage folks to experiment and find what works for them, but encouraging isn’t the same as modeling so the message can get lost. On multiple occasions I’ve heard people say that they don’t agree with the ACA way of teaching. I never understand exactly what they mean by that, but most of the time I think it’s really saying that they don’t completely agree with what they saw one particular ACA instructor do, or what they think they know about how one particular instructor teaches. The ACA certifies that people can teach, that they have multiple tools and methods of getting information across to students, that they can safely manage a group and be good stewards of the sport. I really don’t know how anyone can have a problem with that. I’ve yet to see any great instructor (and I’ve seen a lot), teach in a way that’s inconsistent with ACA certification – even those who are not ACA certified and those who have no certification whatsoever. Let me reiterate here that certification is not a prerequisite for good teaching. Not everyone needs to get certified and certification alone is not proof of excellence. But getting certified does expose you to new ideas on teaching. It does prove that you’ve demonstrated a significant level of ability and competence in teaching, while in no way does it limit or control effective teaching. It has a role to play in the instructional world, and it’s worth knowing what it means and what it doesn’t. I hope that clears things up. I'm going to go on a rant, but before I do I want to lay out a little bit of background in order to make my point clear. First, I'm an American Canoe Association (ACA) Instructor Trainer in both Ocean and Whitewater Kayaking. I've been an ACA member for fifteen years and I'm on the California State Executive Council. I think it's a wonderful organization that does a great many things for kayakers and I'm proud of my role in the organization. There are other organizations out there that do similar things. The North American branch of the British Canoe Union (BCU), now called PaddleSports North America. There's also Paddle Canada and I'm sure many more such organizations around the world that are set up to help educate and train paddlers. I'm all for systematized learning and best practices coordination, and for paddlers to unite and help each other out. These groups are good things. Among the many useful things that these organizations do is paddler assessments (some call them different things, like star awards, but the concept is the same). They set up criteria by which to judge paddling skills and knowledge, and have a group of people, normally certified instructors, who judge paddlers to determine if they deserve the award and at what level. This is all good. I've spoken on this before, but I think it's great when paddlers get more training, when they have a goal to achieve, and work to improve their abilities, knowledge, and safety awareness. So I'm on board. But here comes the rant. I don't want such assessments/awards/certification to be in any way mandatory. I don't want anyone saying this is what you have to do to be a kayaker. I don't want the public thinking that they need someone else to tell them they're a kayaker. I don't want them thinking they need to spend a lot of money on classes to become a kayaker. And here's why. First, one of the reasons I, and I believe many others, like kayaking is the individual nature of the sport. I love the community, but on the water you are the captain of your own ship. There aren't a ton of rules and regulations and kayaking allows me to get away from the bounds of society and explore a rich wilderness where I'm responsible for myself. 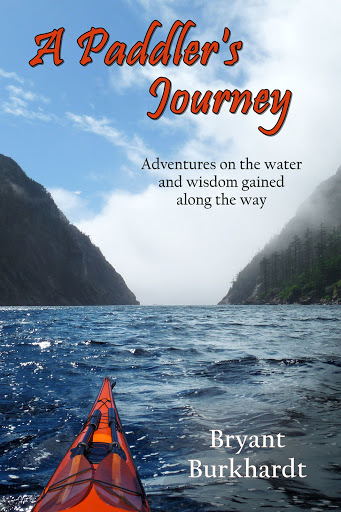 To formalize everything, to make it into a structured sport where one has to travel along a specific path to advance, takes away a large part of what makes kayaking so special. In a similar vein, kayaking is a rich, white guy sport. That's not a good thing. I know there are other people who paddle, but especially on the sea kayak side, it takes a lot of money to get into paddling. If you want to buy a new kayak, the basic gear that's necessary, maybe a little extra to paddle in cold water, then you'll be spending three grand before you get your feet wet. It's not uncommon for paddlers to show up at the put in with twice that amount riding on and in their vehicle. As such, the demographics for kayaking skew older, middle class and above, and predominantly white. I would really like to see more diversity in this sport, if only because it would allow meet to meet a more diverse group of people (I'm selfish that way). But it would also be nice if more of those underprivileged, economically challenged, young,culturally diverse folks out there could get to enjoy the same things that the rest of us like so much. Anything that suggests that it takes more money and time to become a real paddler is going to discourage people who can't afford either - time and money are the number one and two reasons why people don't kayak more. And make no mistake, that's what assessments require. Before you take an assessment, you have to go through formal (paid) training. Then you need to pay someone to assess you. Then you need to do it again and again to move up the ranks. If you have the time and money it's great - and I wholly encourage those who can to do it. But many paddlers don't have that luxury, and I'm afraid if people look into the sport and feel that such things are required, then they won't even bother to start. I don't want to put more hurdles up; I want to knock them down. I want us to find ways to make getting into the sport easier, to include more people and make paddling accessible for anyone who might want to do it. I don't want clubs and informal organizations to become more restrictive by requiring people have a certain award or be certified at a certain level in order to participate. The same goes for becoming a certified instructor. While I do think it's important that we hold certification to a high standard, including both personal skills and teaching ability, I don't want to make the process longer or more expensive. The more you require people to pay for your training before they can be assessed for certification, the more you're limiting your pool of instructors to the wealthy, leisure class. Yes, it's worth paying for professional certification if you're going to be a professional, but the majority of kayak instructors will never make the money back on their investment in certification. If someone walks up out of the blue and can show me that they have the skills, the knowledge, the craftmanship to be an effective teacher, I want to be able to get them the certification they deserve as easily as possible. And on a practical side, I have a few issues with using assessments as a standard for anything (including instructor certification). 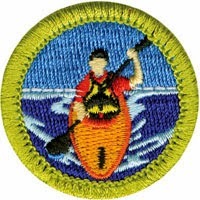 I've seen quite a few certified paddlers over the years who clearly do NOT have the skills and qualifications that their award states they should. Certifications have value, but they're not perfect, foolproof, or entirely accurate. That will always be the case. First, an assessment is an imperfect thing. To assess someone at as a level 4 sea kayaker (just to use an example), I need to evaluate them in winds 11-16 knots, surf to 3 feet, and current to 3 knots. It's hard to get all that perfect. What if the waves are only two feet - is that really enough to assess someone's surf handling abilities? Is 1 knot of current enough to evaluate their skills in moving water? And what if it's calm on the day of the assessment? There's a lot of ground to cover and if someone is paying to get assessed, there's going to be pressure to give them the award (it's not about questioning the integrity of the assessor, but admitting the practical realities of the world). And even if someone did have all the necessary skills on that one day, what about the week after? What about two years down the road? Or ten? Unless they need to continue to demonstrate all the skills on a regular basis (they don't right now), how can anyone be certain that their assessment is still valid? And which organization's rules do we go by - ACA, BCU, PNA? They're all similar but not exactly the same. And if there isn't a single, consistent standard, if there isn't uniformity in assessment (and there never will be because it's a subjective thing run by human beings), then how can we use such assessments as a standard? I've seen a great many paddlers who have tremendous skills and knowledge, who are an asset to our sport as safe and responsible paddlers, who have never taken a single course and have no interest in formalized training. I've also seen highly certified individuals who are reckless and get into situations over their head (and sometimes lead others there with them). There are great people on both sides of the certification divide, and I don't want to lose out on on those rugged individualists who tread their own path - I've learned too much from those folks over the years. I will freely admit that the assessment process will lead to safer and more skillful paddlers - for those that can afford to go through it. That's great, but I want to make sure that everyone knows there are other paths to take, other ways to enjoy this sport and improve at it - and those options are equally valid choices. I really want to see our sport become more inclusive and accessible, to open up to groups of people who have never thought of paddling as a possibility for them. I know no one is actually suggesting that certifications become a requirement to paddle, but I think we need to think about perceptions and cultural expectations when we decide how we treat certifications and standards. This isn't a simple issue and I don't think it's cut and dried, but I think it's worth sharing my opinion and hopefully getting more people to think about it. I'd love to hear from others on what they think of paddler assessments and where/when/how they should be used. The comments are open.